Tripe the tried and true perfect gift from Mother Nature. It's yukky for sure. Let's not kid ourself, but believe me your dog will love it. So let's take a closer look at it. Maybe your dog knows something you don't. If he loves it, there must be a reason why. 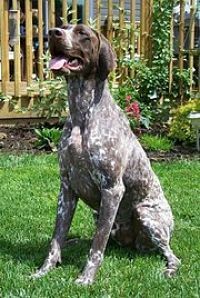 So, your dog will be getting natural enzymes, gastric juices, amino acids, essential fatty acids, beneficial bacteria such as lactobacillus acidophilus or lactic acid, as would be found in yoghurt and kefir, along with chlorophyll, protein, vitamins, minerals such as phosphorus, calcium, iron, zinc and selenium. A true buffet of dog nutrition. Dogs are predators and grazing animals are prey. Predator animals eat prey animals. That's the way life is. Is it that we don't want to think of our beloved dogs in this way? Well, the truth is the truth. Dogs are predators. So it makes sense then, that Mother Nature would provide within the prey animal's body, everything the carnivore needs nutritionally. There are no mistakes in nature. So let me ask you, does your bag or can of commercial dog food, replicate what Mother Nature would provide for dogs? If your raw dog food doesn't contain any bone or organs, why not? Why are we so revolted by the ick of raw feeding. Why is the thought of feeding the raw predigested stomach contents of a prey animal to our predator dogs, so off putting? Why are so few people feeding it to their dogs? I'm on a mission to get dog owners used to the idea, because it's life changing food. The truth is, raw tripe for dogs is miracle food. This is Mother Nature's way. Some grazing animals are called ruminants and are classified by the number of stomach compartments they have, and by what plants they graze on. 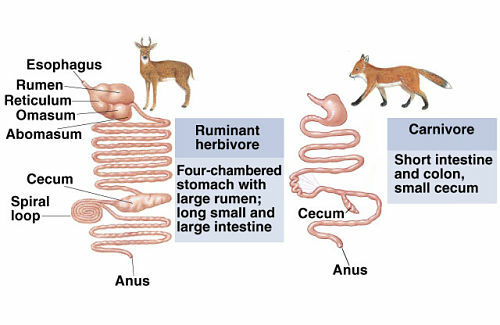 Some ruminants have four stomach compartments and some have only three stomach chambers. Some ruminants graze on grass only, and some graze on grass, leaves and twigs. Cows, sheep, goats, moose, deer, elk, camels, bison, llamas and alpacas are examples of ruminant grazers because of their multiple stomach chambers. People, dogs and pigs only have one stomach. We are mono-grastic. Here's a fun site to help you understand more about these amazing ruminant animals. 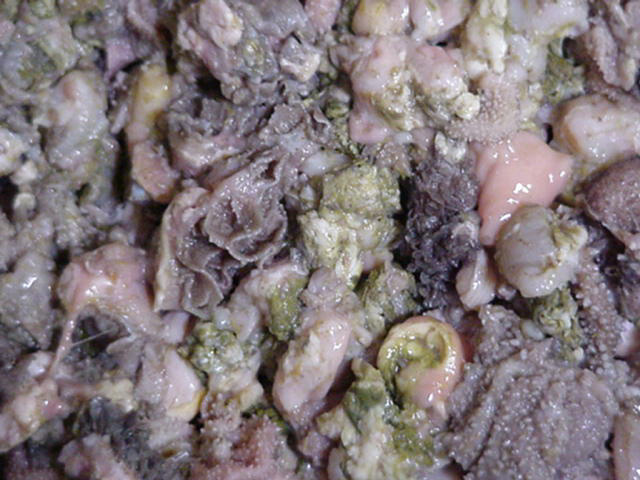 Green tripe refers to the raw unprocessed contents of these multiple stomach chambers which systematically break down forage plants. It's not called green tripe because it's green. The word ' green ' refers to it's unprocessed raw-ness. Whatever you do, don't buy the bleached white stuff you can sometimes find at the grocery store. It's useless. You can find this miracle food at better independent pet stores, frozen and all bagged up in one or two pound packages, or freeze dried. You can also check your local raw feeders coop in your area. They will likely be able to direct you to cheaper sources for bulk buying. If you're lucky enough to find a big piece, this is an excellent chewy way for your dog to clean his teeth. Make sure you have a freezer. If you get really desperate, you can buy canned. It's not as good, but it's better than nothing. 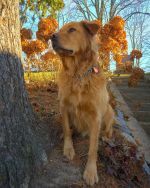 Dogs have been eating this natural food for many many thousands of years, long before kibble. Start with a small amount and work up to your dog's tolerance level. This miracle food is highly nutritious and therefore can start a natural cleanse if you start with too much...and just remember, it stinks! Ruminant animals are herbivore prey. They have multiple stomach chambers to break down forage plants for food. Dogs are carnivore animals who stalk and kill the ruminant herbivore and eat the predigested forage contents of the multiple stomach chambers. This is the true way Mother Nature serves up greens to dogs.